This month I had to go and fight fires and floods in far North Queensland where there was no internet access so I had to post this challenge late. And I'm so tried mentally and physically this is all I can do for the moment. I decided to do a photo series which shows the process. Welcome back Audax! We missed you! 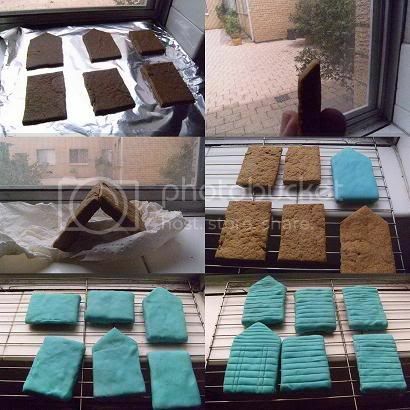 That's so noble of you, that explains why the long silence=;) I like the color of your gingerbread house. I'm so sorry you've had a rough month Audax. I hope January brings much better things! 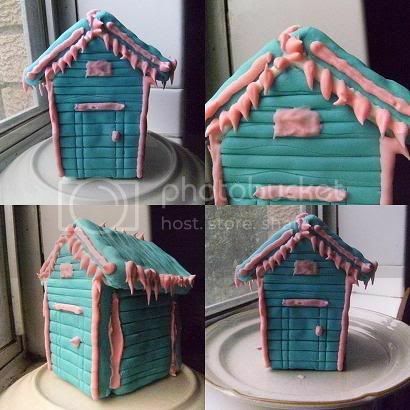 Your gingerbread house is very fun - I love the colours =D. Your house is beautiful and the photo series is great. It was a great challenge, uh? Happy New Year, dear.Big hug from Madrid. Cute house! I couldn't manage to finish mine in time. I don't know if it's too late to post anyway. It's great that you managed to make yours despite all the troubles you had this month. Once again, you've brought your own charm to this challenge. Very cute! Welcome back! Audax, you're back! Hooray! I LOVE your eye-catching gingerbread house! The colors are so vivid and add a whimsical touch! You're a real trooper to do this challenge/post considering what you've been up to! Kudos to you for all of your heroic efforts! Audex so sorry about your rough month. The house looks great!! So unique..you truely have a great hand at this! Your house looks so beautiful! So happy you are back...you are really an inspiration to me! How cute is your house too! Adorable house. I am so impressed that you could put one together at all given everythniig else going on. I love the texture of the "wood" siding. so very thoughtful. It's impressive that you still managed to make the challenge despite all that was going on! I love your little gingerbread house! Even though I haven't been baking with the Daring Baker's due to my committments, I am still following. Great to have you back on board. Fighting fires and floods in far North Queensland is highly commendable. You are a true hero. 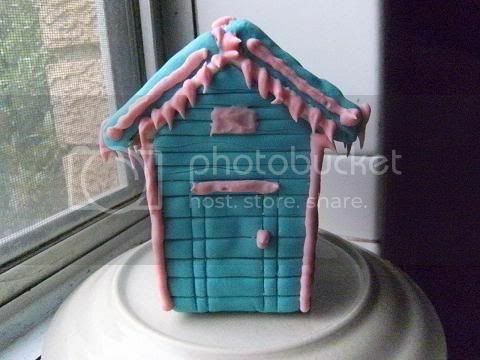 Love the little blue and pink house. Reminds me of something very Australian. Is this a reflection of how you are feeling? It is truely wonderful and very pretty. Happy New Year and Welcome back. 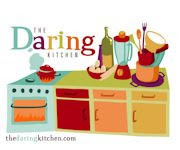 It's so nice to have you back - The Daring Kitchen forums just weren't the same without you! Take some time to relax and re-energize for the New Year. Love the colors in your house! I love your funky house! I can't tell you how much I enjoyed looking through all of your old posts. I can see the artist in your food creations. Really beautiful! 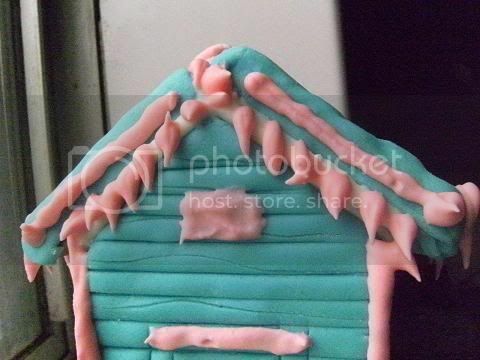 Beuatiful gingerbread house, I love the colors and the phto series. I am so sorry for the bad moments you had at your mom's farm with the fires and floods, you are a GOOD son and a brave man. Audax, I am glad you are back in one piece! (We need you here, seriously!!) And our symphaty to you for being a firefighter! Anyway, the colorful gingerbread looks great. And that shows deep down you care so much about DB Challenge! Kudos to your great effort! Wish you a year filled with love, joy and success! Happy to have you back, Audax. The DB message boards weren't the same without you (so let me take this time to also thank you for making the DBers such a dynamic and interesting experience-all of your efforts for us are much appreciated!) 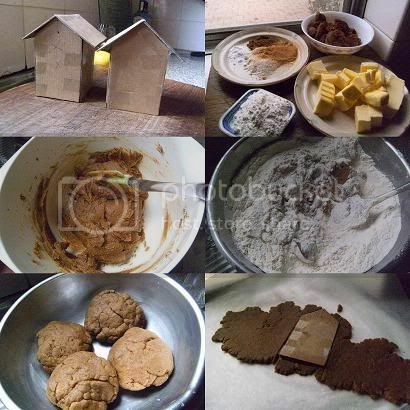 That said, your gingerbread house is very cute, and very "stylistic" in the colors you chose. Congrats on another great challenge! Thank you so much Audax for visiting while I was away! I appreciate it very, very much! Wishing you a happy new year, health, joy and prosperity... and oh! many more creative, whimsical, amazing, crazy, funky, cool stuff to share with us... like only you know how to make. An amazing challenge as usual.. Makes me wish I'd signed up for Daring Bakers!! Very impressed that you even did the challenge. Too bad it was a tough month for you. I was in NY for almost 2 months and so busy that I couldn't even find the time to do this one. Oh well, here's to the New Year!